Today’s post is part of a traveling book review hosted by Rockstar Finance bloggers. Each day, a different blogger will share their insights and commentary on a chapter from the newly-updated personal finance classic Your Money or Your Life. You can work through every chapter in the book by visiting this introduction post. If someone thrust a gun in your ribs and said those words, what would you do? Most of us would turn over our wallets. The threat works because we value our lives more than we value our money. Or do we? For most of us, the resolution to this situation is a simple one. We’d fork over our wallet or purse immediately and without any second thought (except perhaps to call the bank and cancel our cards). While money has instrumental value, we understand that money is just a means to an end. The value of our money isn’t found in a stack of bills or digits on a screen. What we’re really looking for with money is a mixture of security, purpose, freedom, or status. Doing something “wonderful” could be pursuing a passion, building a legacy, or treating others generously. What you find meaningful may be inspired by others but will ultimately be unique to you. If we tell ourselves that money isn’t everything – perhaps it is about creating something wonderful – then why do we instead trade our time, health, and energy to consume? Think back on the last time you were asked to introduce yourself. Perhaps it was at a coffee date, holiday party, or family reunion. If you’re like many people, you started by sharing about your career. This shouldn’t come as a surprise – we typically spend one-third or more of our waking hours at work. Add in your commute, overtime hours, and checking your emails off the clock, and that percentage is likely even higher. 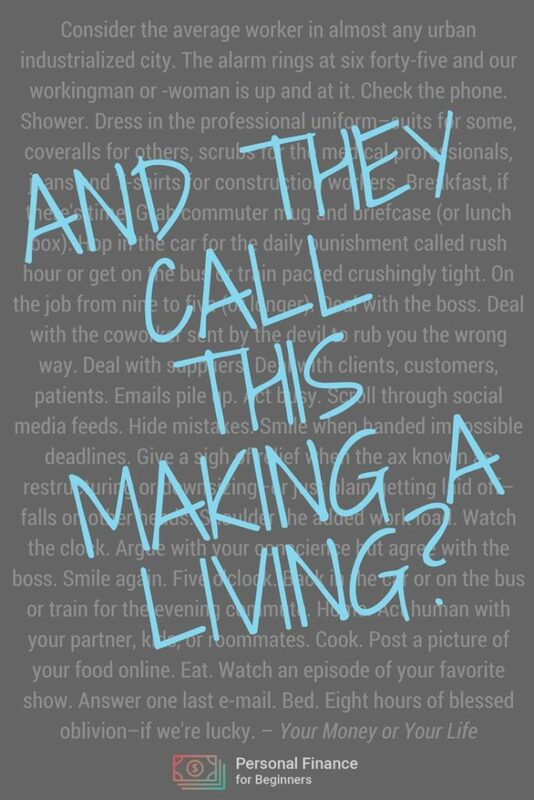 For some, a career is the “wonderful” that Steve Jobs was talking about. It provides a consistent paycheck, a community of coworkers, and a way to contribute to something larger than one’s self. Of course, this isn’t true for everybody. You may find that your job doesn’t make you happier or healthier. Over the last few decades, employees are saving less money than ever before. Americans save less than 4% of their income toward retirement. If you’re currently spending close to your take-home pay in monthly expenses, you may find yourself stuck in the money trap. While hosting a series of live seminars, Robin asked participants to report a “Life Rating” that measured how satisfied they were with their current lives. Robin grouped the participants into income brackets and then averaged each group’s rating. The results showed that more money didn’t correlate with a higher level of happiness. Regardless of whether participants were making $1,500 a month, $3,000 a month, or more… the average score for each group suggested they were dissatisfied and seeking more. When asked “How much money would it take to make you happy?”, the answer was almost always 50-100% more. Clearly, the answer wasn’t as simple as increasing one’s income from $1,500 to $3,000 a month… While it may help for a while, those people weren’t satisfied either. 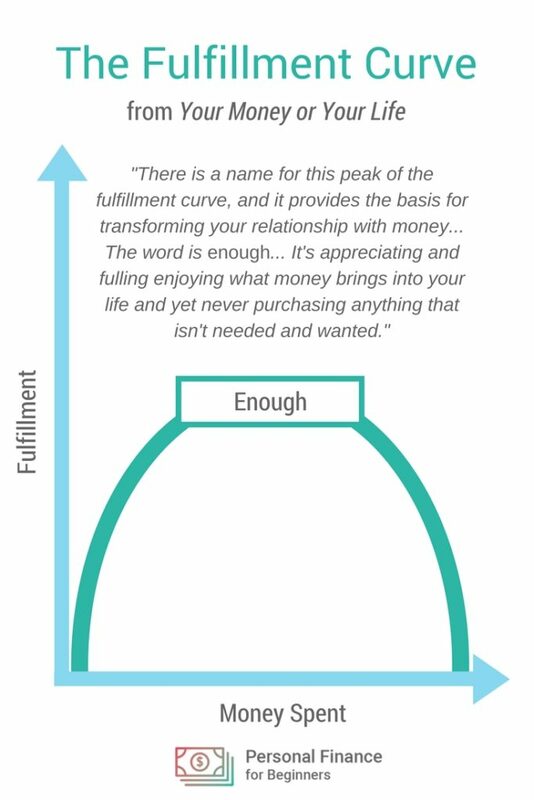 This led Robin to create what she called “the fulfillment curve.” The chart shows the relationship between feeling fulfilled and the amount of money we spend. When you discover that aiming for “enough money” is the key to fulfillment, you learn that “your money or your life” is a false dichotomy. You can have both – you may just need to change some of your beliefs and behaviors about money to get there. In the book, Robin outlines specific steps that will allow you to “go for both.” It starts with making peace with your financial past. The first chapter provides two homework assignments that will help you understand what you’ve earned so far and what you have to show for it. These two activities will help you define your past relationship with money and put yourself at financial “ground zero.” Understanding where you’re starting from will help you lay the foundation before you take the next steps toward financial independence. Find out how much money you have earned in your lifetime–the sum total of your first income, from the first penny you ever earned to your most recent paycheck. Calculating how much money you have earned during your lifetime provides a few major benefits. You’ll have a greater appreciation for your ability to earn money (even with just college jobs, you’ve likely earned more than you thought). You’ll understand just how much money has already passed through your hands and get a better idea of how much more could be in your future. Find out your net worth by creating a personal balance sheet of assets and liabilities. To calculate your net worth, you’ll be creating a balance sheet: a financial statement that shows your net worth at a specific moment in time. Add the assets and subtract the liabilities. The remainder is your net worth. Just like the first exercise, impeccability is key in getting an accurate snapshot of your financial situation. You may find this snapshot encouraging or upsetting. “In creating your balance sheet, many feelings associated with your material universe may arise: sadness, grief, nostalgia, hope, guilt, shame, embarrassment, anger. A dispassionate and compassionate attitude can go a long way toward making this step truly enlightening,” Robin writes. This is just the first of nine steps found in Your Money or Your Life. That being said, checking in on your net worth (whether by manually creating a balance sheet or using an app like Mint) is a step that all personal finance beginners should keep coming back to. Your net worth is widely considered to be the most important number in personal finance – it’s even more important than having a high salary or a perfect credit score. 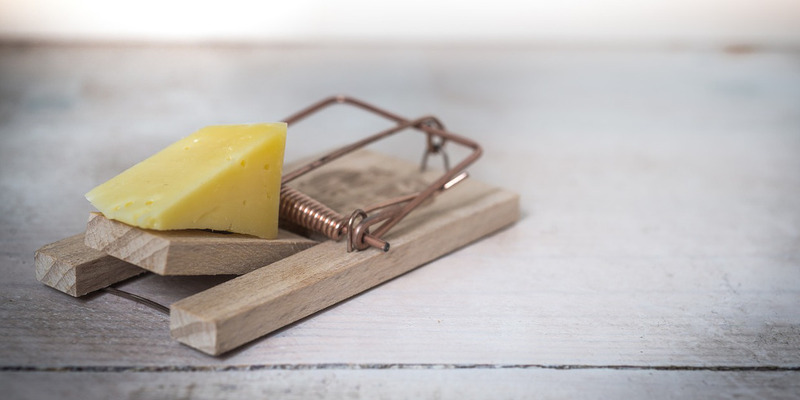 If you’ve found yourself caught in “the money trap” – believing that more money will bring you happiness – realize that it’s not too late to dispel this myth and take a different path. Make peace with your financial past by reflecting on how you came to your current situation with money. Calculate how much you’ve already earned and what you have to show for it. How did you learn your first lessons about money? What does having “enough” mean to you? This is THE first financial book I ever read! It was life-changing, and set me on a decade long ‘quest’ to get to ‘enough’ so I could switch to part-time, lesser paying but so much more REWARDING work. Now it’s a decade later, and after a lot of saving and reducing expenses, I am currently in the middle of confirming if I have ‘enough’ saved towards retirement that I can leave my career as a professional bureaucrat, and do jobs I find fun and USEFUL! WOOHOO!!! Posts like this help SO much, when friends/family are genuinely concerned that I would even consider leaving a ‘good’ job for jobs that are so much less pay (but so much MORE directly USEFUL to the world). Thanks for posting and the great chapter review!